Savor innovative dining at Hilton Marco Island. Whether you're looking to dine poolside, beachside, or bedside - we offer options for everywhere you want to be. Our inviting indoor and outdoor venues sit alongside incredible views of the Gulf of Mexico. Welcoming to both guests and locals, we offer a variety of menus to please every member of the family. 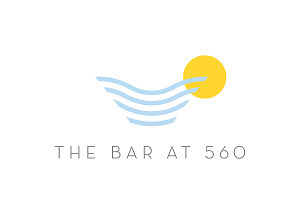 Best enjoyed at the pool by the fire pits or looking out over the serene Gulf.Relax at The Bar at 560, offering unique indoor and outdoor service, featuring locally crafted cocktails and our favorite selection of import and craft brews. Experience our mixologist’s Beach Mule or featured resort cocktail, a Bloody Mary for example. Immerse yourself in a dining experience that is sure to tantalize the senses. Breathtaking Gulf-front views featuring white sand beaches and unforgettable watercolor sunsets are only the beginning. 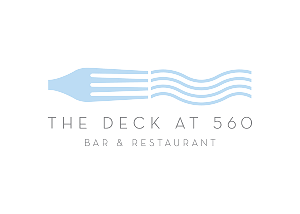 Guests of the Hilton Marco Island Beach Resort and Spa will experience a completely reimagined open air restaurant concept…The Deck at 560. This restaurant boasts over 200 Gulf view seats bringing new meaning to the old adage… not a bad seat in the house. Additional enhancements coming in April will include intimate dining options that are accentuated by reflexive natural art and a sensual indoor fire pit feature that envelopes you in a serene tropical atmosphere. This new destination focuses on locally sourced and sustainable seafood and farm fresh produce. A newly cultivated holistic Chef’s Garden has been introduced supplementing The Deck at 560 with a variety of organic herbs and produce which is designed to complement Executive Chef Corey Hepburn’s innovative menu. Fuel up for a day of exploring or beachside lounging at our grab-and-go market, 560 MKT. Offering an Illy coffee bar, flavored waters and juices, a variety of gourmet sandwiches and salads, oven-fired pizzas and gelato to-go, it's easy to build the perfect picnic for the whole family to enjoy. There is also a dedicated area of Dylan’s Candies to satisfy any sweet-tooth. A local favorite – try our very own. 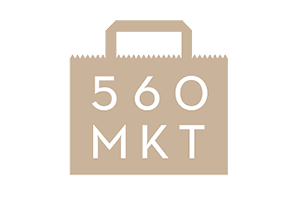 We have reinvented in-room dining and introduce 560 2 U with a selection of craft items from 560 MKT delivered to your room. Fired oven pizzas, salads and key lime tart are just a few of the items available. And don’t forget the candy for the kids!